There are many beautiful places all around the world which you just can’t miss especially if you love landscape photography and are impressed with the work of famous landscape photographers. These places are globally known for their serene beauty and mystical elegance. Out of all these places, I have some shots from Nepal, India and Tibet to showcase. 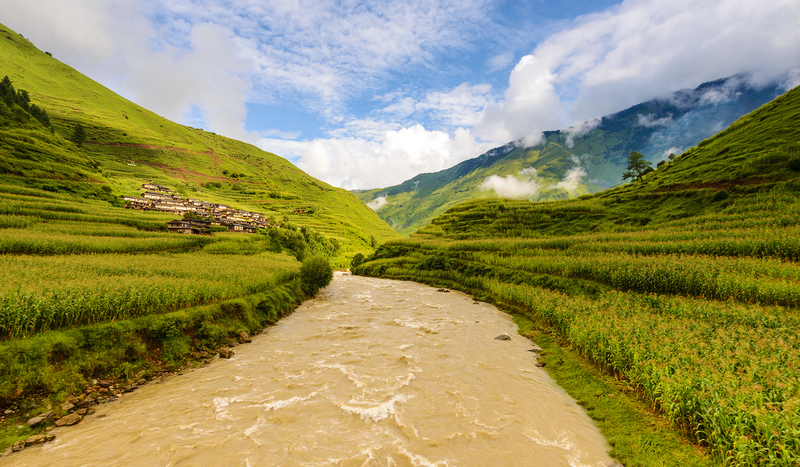 Nepal is a landlocked nation bordered by India, China and Tibet. 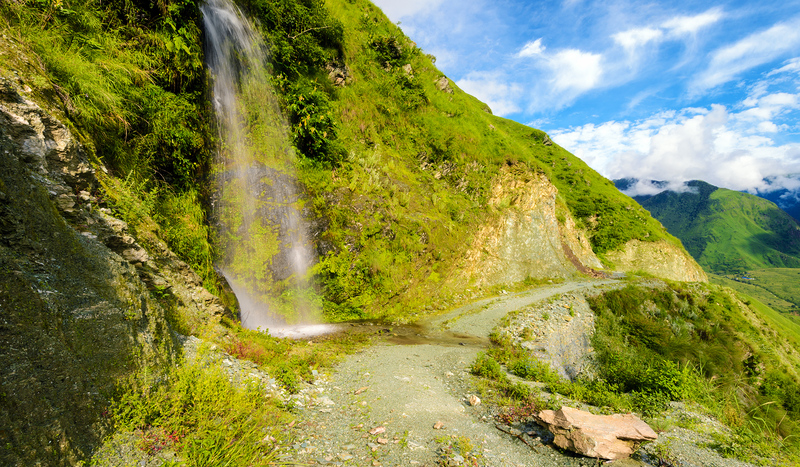 The country is located under the foothills of great Himalaya Mountains and is brimming with rivers lakes and valleys. A photographer can shoot gigabytes of landscape photographs and still won’t be tired to capture a few more of them. 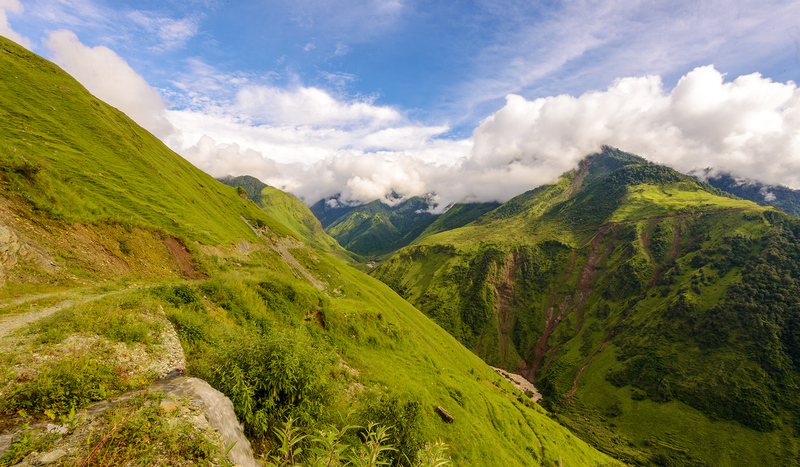 India: From the colossal Himalayas in the north to the sedate beaches in the south and from the plains of Ganges to the desert of Thar, India is a country of landscapes. Some of the most captivating man-made structures when included with traditional landscapes give contemporary landscape photographers a chance to invent and reinvent their art. Tibet has also most variations when it comes about landscapes. Distributed along the vast area of this place -deserts, canyons, mountains,lakes and holy shrines are located which are very attractive subjects to shoot. Taka-Shera: A valley down the Uttar Ganga at Rukkum district resembles Tibet. 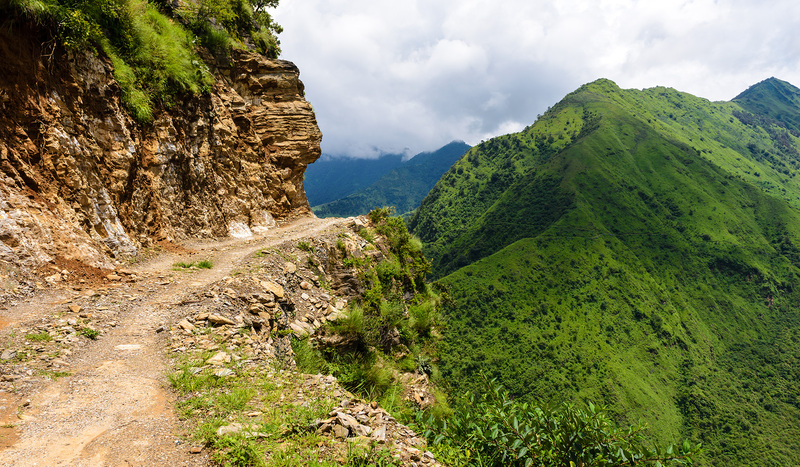 To the west and northwest lives the Kham Magar, an ethnic group with strong animistic and shamanistic traditions. Food and shelter are difficult to obtain in this area and are best carried. The flat –roofed houses are reminiscent of Thak-Khola. This Blue Sheep country in the snows of the western Dhaulagiri also accommodates Snow Leopards. 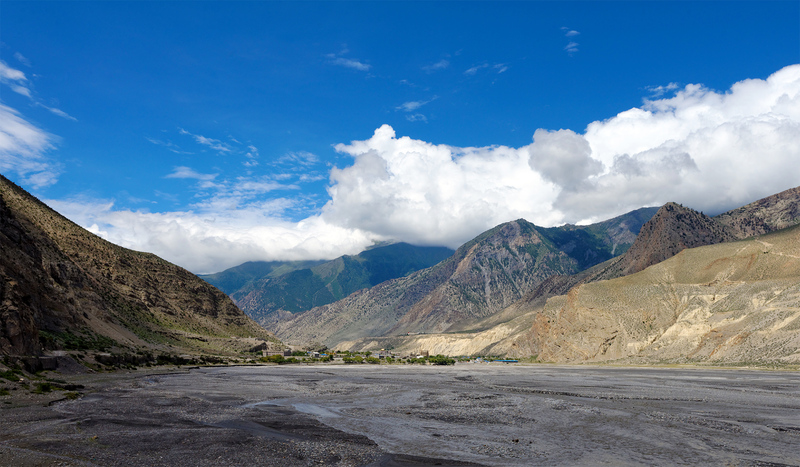 JHARKOT Valley (3500M) Jharkot, with its picturesque 'kani' and large gompa is well worth exploring and many people suggest staying here instead of Muktinath. There are some peach trees nearby; people press the peach seeds to make oil. Across the valley you can see the ruins of Dzong, the ancient capital of this region and the smaller villages of Purang and Changur. 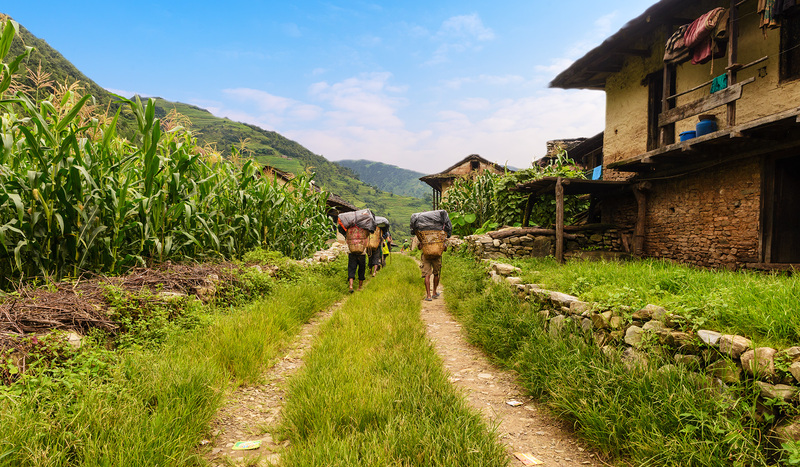 Climbing over some walls then trekking past the village crossing the mule stables and climbing up a steep barren hillside, immediately gives you that sense of adventure in this postcard scenery. EKLO BHATTI (2730M) Better known as Eklo Bhatti ('alone hotel'). Despite its name, it is a substantial outpost where the Tibet Guest House, Hotel Hill Ton, Hotel Monal and Holiday Inn offer you a chance to get out of the wind. In the Kagbeni Lodge you can shop for 'all kinds of Tibetan something' and also a break to eat something. 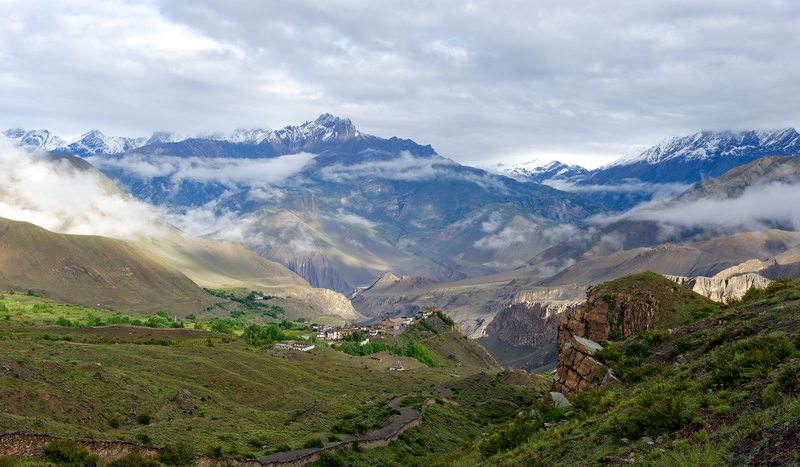 The direct route to Muktinath leads straight up the hill behind the village. This is the base camp before the climb to Muktinath. 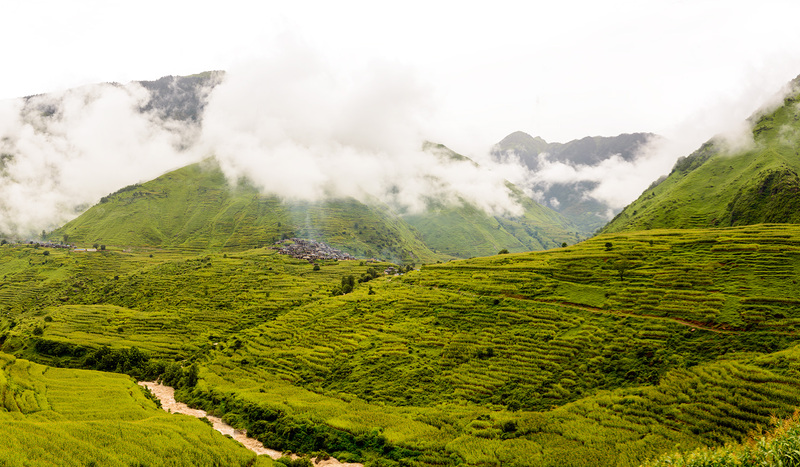 Taka and Sera village are eye-catching Kham villages of Rukum District of Nepal. 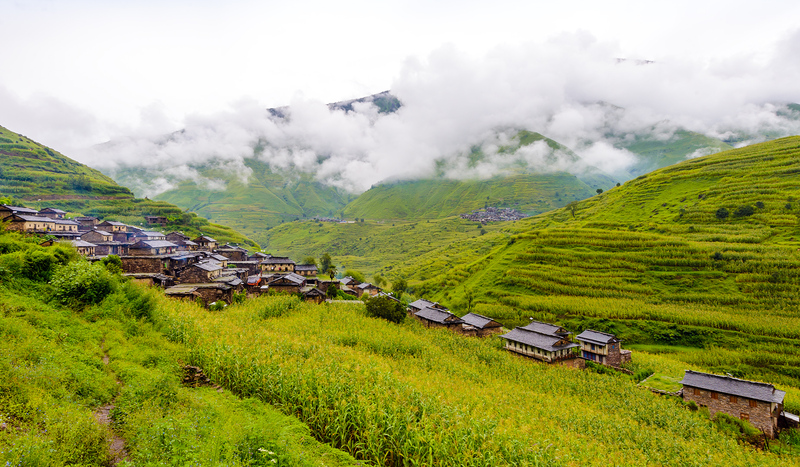 The village is also known for its unique Kham cultures and Shaman Festival.